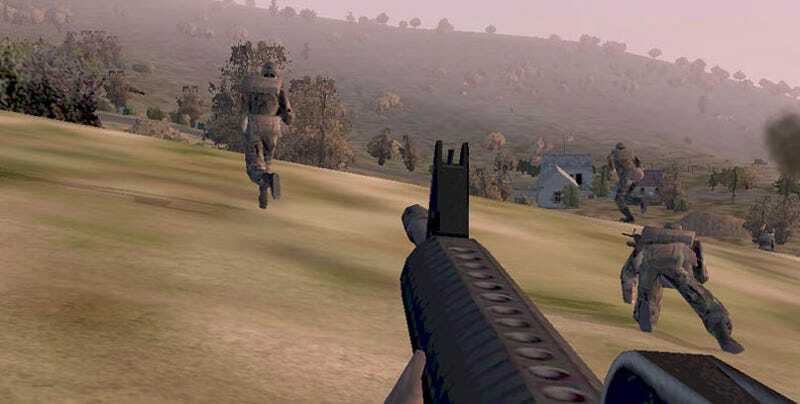 History lesson: Bohemia Interactive's Operation Flashpoint was one of the most ambitious PC games ever developed. Its publisher, Codemasters, owns the name. And its original developers don't like that somebody else is making a sequel. You see, Bohemia flew the Codemasters coop a long time ago, and came up with their own, newer version of Flashpoint, called ArmA. Which is what they had to call it, because Codemasters owned the rights to the name "Operation Flashpoint". It was...OK, but never really hit it big like Flashpoint did. Bohemia are going to release a sequel, ArmA 2, later this year. Meanwhile, recognising the pulling power of the OF brand name, Codemasters will this year release Operation Flashpoint 2, which they've developed in-house. Same name as the original, yes, but totally different development team. Still with us? Great. "We can't stop Codemasters from releasing a game using the words ‘Operation Flashpoint,'" acknowledged Spanel. "But it is not right to promote this game as the ‘official sequel to the multi-award winning Operation Flashpoint: Cold War Crisis' or the ‘return' of Bohemia Interactive's ‘genre-defining military conflict simulator.' The awards were given for the game created by Bohemia Interactive - not to a name." Legally, it all means squat (SQUAT), and Spanel knows this. Bohemia's original contract stated that Codemasters owned the rights to the name, and that's that. He's just obviously upset that his own company's work is being overshadowed by these "imposters", and would like the world to know. And now you know. That change anything?